This event brings together leading Agriculture, Food and Space companies to understand the challenges in the agriculture and food sector and what satellites can do to help. Innovate UK and the Natural Environment Research Council (NERC) are to invest up to £3.75 million in collaborative R&D projects and relevant technical feasibility studies to stimulate innovation to improve the productivity of agri-food systems using satellite technology. Geoger is keen to be involved in this call and is able to offer a number skills and areas of support. A slide produced for this event is available below, detailing the types of things that we can help out with. 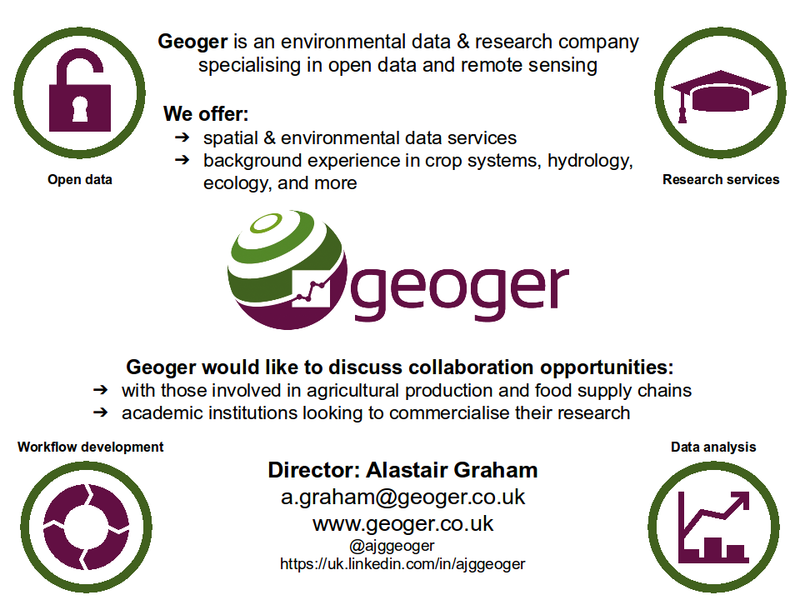 If you are interested in building a collaborative research partnership with Geoger then please get in touch. Next Post Race to….. the top?